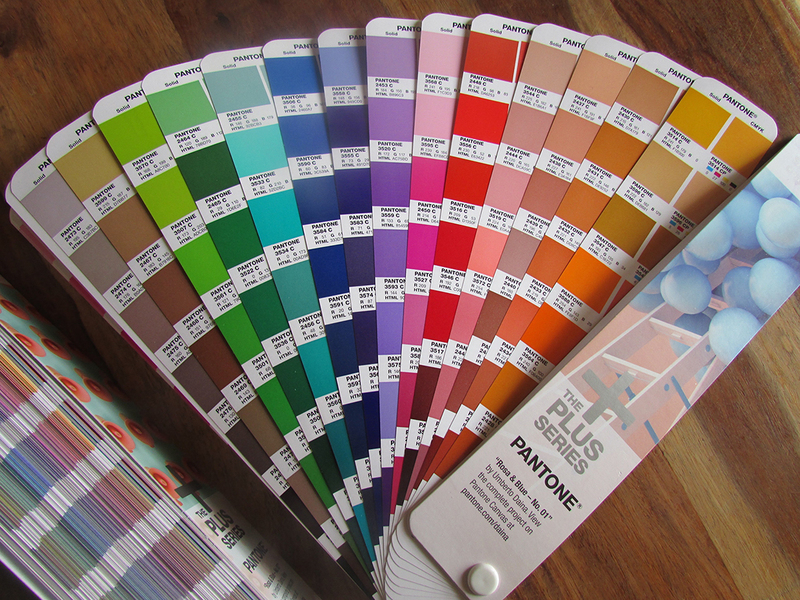 Did you know that Pantone have recently added 112 New colours in eight inspiring colour ranges? 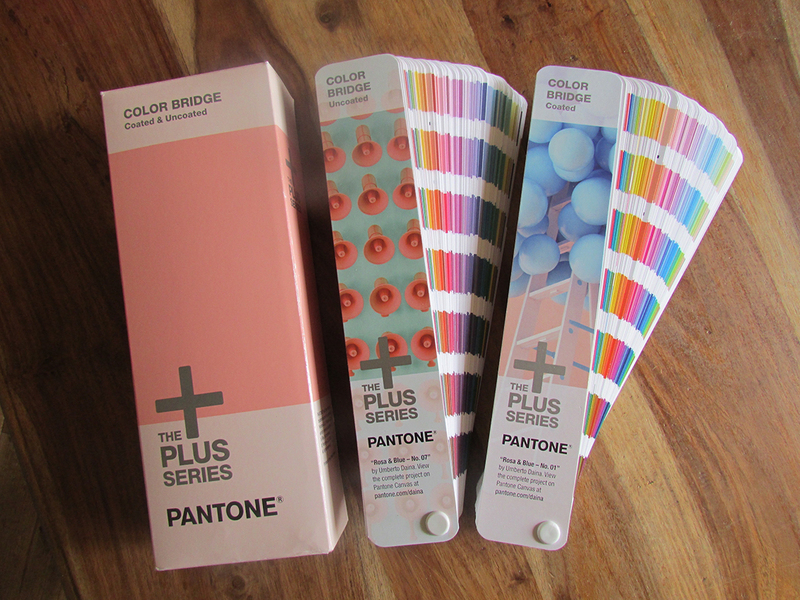 I was over the moon to receive my new Pantone Plus Series guides for coated and uncoated paper. It was like Christmas morning here in the office. It really is the little things! It’s very exciting for graphic designers, printers and Clients across the board as Pantone have added 112 new colours. These are easy to find at the very front of the guides and include eight inspiring new ranges. See the photo attached…aren’t they just stunning? The new colours are relevant for contemporary packaging and are obtained from market research and requests for greens, blues, reds, oranges, pinks, purples, browns and neutrals. Would you believe the full set now includes a very impressive 1,846 colours. Pantone for those who may not be aware is the world-renowned authority on colour and provider of colour systems. They have the latest technology for accurate communication of colour across a variety of industries including graphic design, interiors and fashion. There are multiple sets of guides and other formats to choose from, depending on your sector and needs. This new set that I have invested in, is an absolute godsend both for myself and for my Clients and I will explain why. As a graphic designer working in branding and graphic design for print and digital, it is critical that the corporate colours are consistent across all mediums. As well as the books containing the brand new colours, they also have a convenient side-by-side comparison format. So in a nutshell it shows the solid pantone colour and beside it how the pantone looks when reproduced through four colour printing process (CMYK) eg. in the case of a full colour brochure. It also gives the HTML value references for digital media. On purchase of the new guides, it was fantastic to be able to download the new libraries to use in my design programmes Adobe Illustrator, Indesign & Photoshop. So when designers spend time choosing carefully the corporate colours for a new brand or project, the Pantone Guides are the designers and printers bible. We typically choose the solid Pantone first and we then have to ensure that the colour is matched correctly for digital and full colour printing. This ensures viewing consistency across websites and monitors. Pantone/SPOT colours are critical in particular for packaging. A good example would be our Client MoonRiver Chocolate. We spent time carefully choosing the Pantone colours so we were 100% happy and we believed that they would really stand out on the shelf and we were right. Have you ever wondered though how do the colours always manage to be exactly the same each time you pick up your favourite branded product, without any waivering in colour quality? Well they are designed using the Pantone solid colours and this means wherever they are printed in the world and once they are printed with the Pantone solid colour/s they will always be 100% correct as the printer knows the exact colour mix to get it correct. This really is crucial for brand consistency. For smaller print runs, we are tied to digital printing so it’s a case of trying to match the colour as close as possible. I love having these new inspiring colours to choose from. They give us more scope for creativity and to communicate a brands message. I am attaching photos here to zoom in on the new colours. What do you think? Are you drawn to any specific new colour? Watch this space…it will be very interesting to see if these new colours pop up in brands and digital communication in the foreseeable future. At the same time, it is important to choose the most appropriate colours for specific projects and not just because they are new – they must always feed back into the brand and their message. Feel free to Like us on Facebook, Follow us on Twitter and LinkedIn.